Forest City, a RM1.8 billion golf resort and golf course opened its doors to the public over the weekend with the project having created 1,545 job opportunities, including 1,200 for locals so far, according to reports from The Straits Times. In one article, The Straits Times reported, this equates to an 80% localisation rate of the total employee workforce through master developer Country Garden Pacificview (CGPV). CGPV is a a joint venture between Country Garden (60%) and Esplanade 88 Danga Bay (EDSB), an associated company of Kumpulan Prasarana Rakyat Johor (KPRJ). Country Garden revealed, adding that the hotel in the golf resort has over 150 local employees making up 90% of total hotel staff. Despite the economic benefits touted, the mega-project – which consists of homes, retail shops, and travel offerings surrounding the new golf resort – has come under scrutiny. 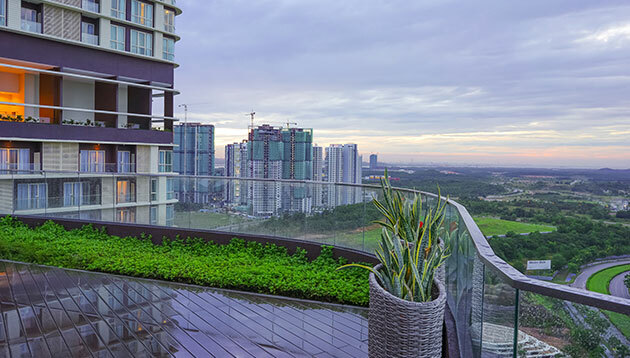 In a separate piece, The Straits Times reported that Malaysian Prime Minister Mahathir Mohamad said that foreigners can buy residential units at Johor’s Forest City development but that does not guarantee them automatic residency in Malaysia. Chinese buyers account for about two-thirds of Forest City units sold so far. A fifth are from Malaysia and the rest from 22 other countries. A large majority (85%) of Singaporeans would like to live outside of Singapore, with Australia and New Zealand being the top count..